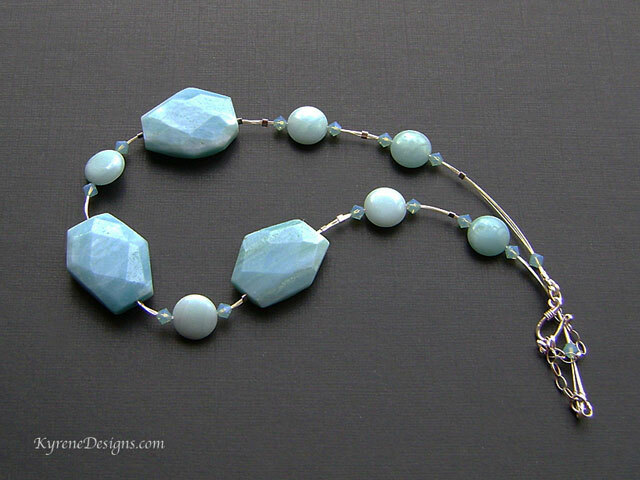 Bold blue-green Amazonite slab and coin necklace - with sterling silver and toning CRYSTALLIZEDTM - Swarovski Elements. 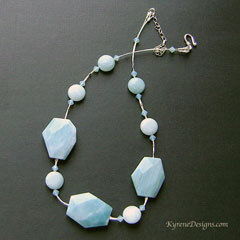 This striking design shows off the natural colour of these gorgeous gemstones. Matching earrings can be made using the smaller coin gemstones. Length: 18 inches (46cm). Gemstone 3cm. Easy to use sterling silver hook clasp, plus 2" extender.